Nina is a qualified chartered accountant and an ex Partner of KPMG, one of the big four professional services firms. She has over 25 years of experience in providing commercial tax and financial advice across a broad range of areas including corporate Governance, M&A transactions, due diligence, transfer pricing, reorganisations and financing. She has particular expertise in co-ordinating group tax compliance and dealing with HMRC on UK tax compliance and investigations. 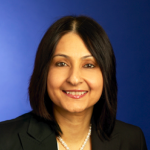 Nina was KPMG’s head of Asian markets from January 2013 to 31 Jan 2018 where she built relationships with Indian and Chinese businesses to generate significant revenues from these businesses. Nina has won a number of awards including the 2008 Professional of the Year and the 2009 Asian Who’s Who Leadership award. In 2016 she was awarded the woman of the year award She was appointed to the Prince’s Trust Women In Leadership Group and is the Vice Chair of Lepra, a UK registered charity. She was awarded an MBE in 2013 in the Queen’s Birthday Honours List. Nina is currently the Chair of the Audit Committee of Koovs Plc and a NED of Wirepayer Ltd. She chairs the Investment Committee of Unicorn Ascension Fund, a UK technology Fund. She has been on the board of TiE London since Jan 2015 and was elected President in 2018. Dinesh Dhamija is the founder, former Chairman and CEO, of ebookers.com, one of Europe’s most successful internet travel companies. Educated at Kings School, Canterbury and Fitzwilliam College Cambridge, he worked in various companies including IBM. He is also an alumni of IMD in Lausanne and Harvard Business School. In 2003, Dinesh was chosen, Entrepreneur of the year (UK), by Management Today magazine. 2004 awarded Asian Man of the Year. He is a trustee of TiE Global, (an entrepreneurs organisation), founder of Shiksha, a charity that educates 1100 pupils, founder of Chikitsa, a charity that gives free medicine to 120,000 people a year. Dinesh is the Deputy Treasurer of the Liberal Democratic party. He is also a member of the fundraising committee of Fitzwilliam College, Cambridge. 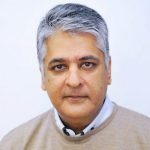 Sid Narang is the Founder & Chief Executive Officer of TheSqua.re Group, a tech enabled global mobility company that provides 4 Star Serviced Apartments in key business destinations across the world. Sid has lead the business from its inception to a USD 10m+ run rate in 6 years without any venture funding. Despite rapid 90% CAGR topline growth, TheSqua.re has continuously received industry recognition and awards for Outstanding Quality/Product in each of 2013, 2014, 2015, 2016. TheSqua.re currently manages an exquisite portfolio of prime London real estate assets of Gross Asset Value in excess of USD 200m. 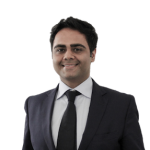 TheSqua.re’s Group is headquartered in Bank, the nerve centre of London’s capital markets with a fast growing Asia Pacific hub in New Delhi, India, and two new offices planned for 2017 in New York and Paris. 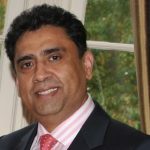 Prior to embarking on his entrepreneurial journey, Sid achieved rapid success on Wall Street, becoming a Vice President of Citigroup in London at the age of 27. He began his career structuring synthetic structured credit instruments (CDO, ABS, CDS) at Morgan Stanley in NYC, and moved to a proprietary investments role at Citigroup where he traded multi-billion dollar portfolios of credit instruments and lead the funding and acquisition of multiple small banks across Europe. 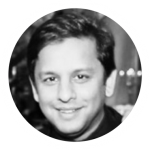 Minhaz Manji was educated at Sophia University, Tokyo and Bajaj Institute of Management, Mumbai, India as well as the Harvard Executive Management Program. He is currently the CEO of the First Inn Group of companies which is a developer and manager of hotel real estate in the United Kingdom. Minhaz has been a Charter Member of TiE for the past ten years and is currently a Board Member. Involved in mentoring and various charities, he enjoys watching sport and travelling. Radhika Seth is the Founder and CEO of SEQUOIA London, an International Interior Architecture and Design company headquartered in Mayfair. As an established thought leader in the luxury goods market, with more than two decades of experience, Radhika has become a leading influence in the industry. Having worked in her family business NARR International since 1994, Radhika developed an unparalleled knowledge in the sourcing of decorative accessories, antiques, tableware and art for ultra-high net worth individuals (UHNW). In 2007 Radhika set up Luxury Interiors, adding luxury Interior Design and turnkey sourcing services to her existing clients internationally. In 2014, she founded Luxury Interiors London adding project management, art and lifestyle advisories to their list of services. 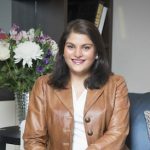 Earlier this year, Radhika merged her companies and rebranded as SEQUOIA London, combining all of the services to offer a complete bespoke solution to her UHNWI clients across London and Internationally. 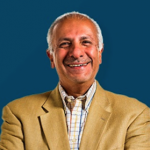 Rickie Sehgal is Chairman of Transputec Ltd, an innovative IT solutions company. Rickie is a graduate of Computing & Physics from Chelsea College University of London, and Harvard Business School educated. An entrepreneur and businessman to his core, Rickie has achieved international recognition and success by combining a strong innovative talent and can-do attitude. With 30 years of experience in the information technology sector he has a formidable understanding of technology and the benefits it brings to society and commerce. Taher Tayeb is the CEO & Founder of Estee Group, a Real Estate company specialising in the development and management of UK based hotels and the development of residential properties. Since initiating his career in Real Estate in 1992, Taher has built a strong reputation and presence in the hotel industry. He has a bachelor’s degree in mechanical engineering and is passionate about fostering youth entrepreneurship through mentoring up and coming entrepreneurs and investing in various startup companies. Ratika is an internationally acclaimed lawyer and a senior consultant at a highly successful UK Law Firm based in Central London, specialising in corporate and private UK Immigration law and Nationality matters. She attended the prestigious University College London, where she obtained a LLM Masters Degree (with Merit) in Public International Law, focusing particularly on Immigration and Human Rights. Her career in immigration law began at the Asylum and Immigration Tribunal in the UK, where she gained key insights into the UK Home Office’s approach and policies concerning immigration and human rights, providing her with an enhanced understanding and appreciation of the immigration process from both the government’s perspective as well as the applicants. 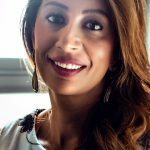 Since establishing her immigration practice, Ratika’s career has gone from strength to strength and she is highly regarded for her professional reputation and vast experience in UK immigration law. She has been invited many a times to speak at International seminars and conferences, as well being consulted by BBC TV on several occasions to discuss the impact of the continually changing face of UK immigrations laws and policies. Her accomplishments have also been the subject of well known newspaper articles and she is on the UK Home Office’s panel of leading immigration lawyers in the UK. As an UK qualified immigration lawyer, Ratika deals in all forms of corporate and private UK immigration and nationality related matters on behalf of her clients, with an expertise in applications covering almost all aspects of this area of law. To that end, she assists several, established businesses from overseas, as well as high net worth individuals, entrepreneurs, investors, innovators and the like wanting to settle in the UK. She has established links at the Home Office in the UK, and over 17 years of relevant experience with an almost 100% success record. Apart from the law firm in the UK, Edward Marshall Solicitors, where she is based, Ratika also has her own UK immigration consultancy in New Delhi, India, specializing in UK immigration and nationality matters. Ratika and her team’s expertise in this area and substantial experience has allowed them to form relationships with the British High Commissions overseas including an excellent network of contact which enables them to provide an efficient, timely and cost effective service to their clients in the UK and globally.